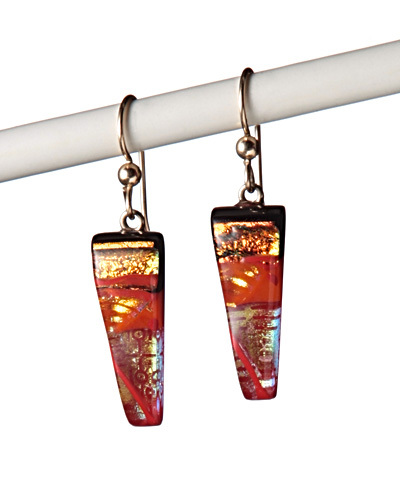 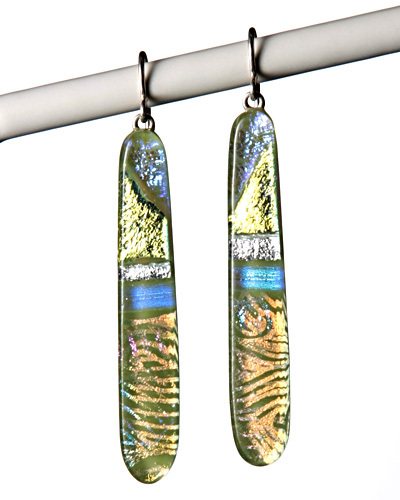 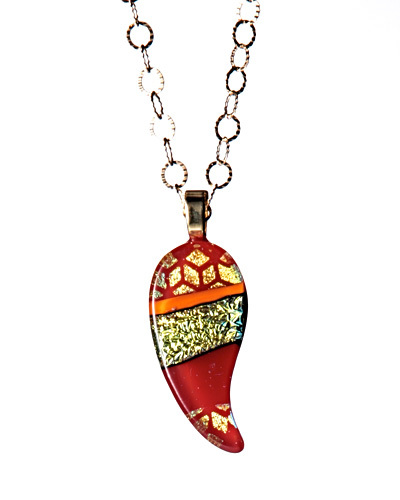 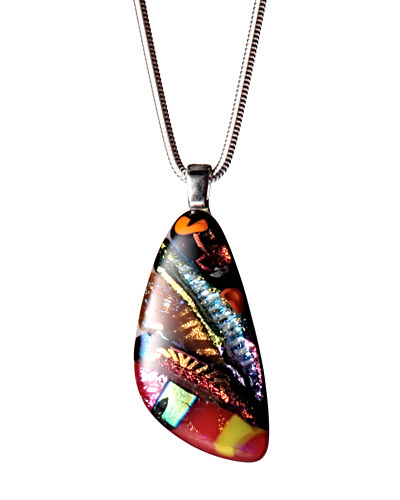 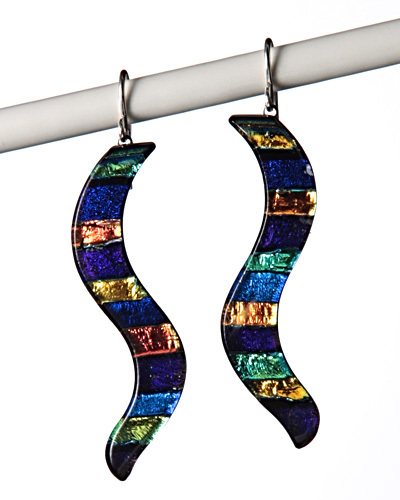 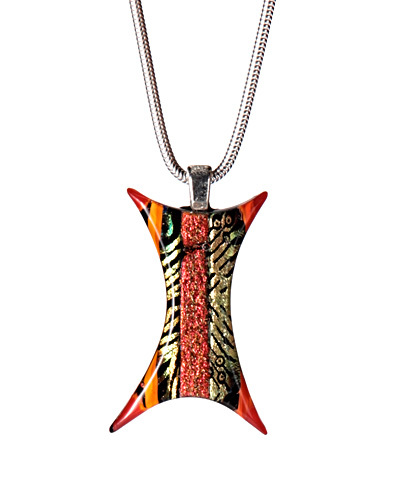 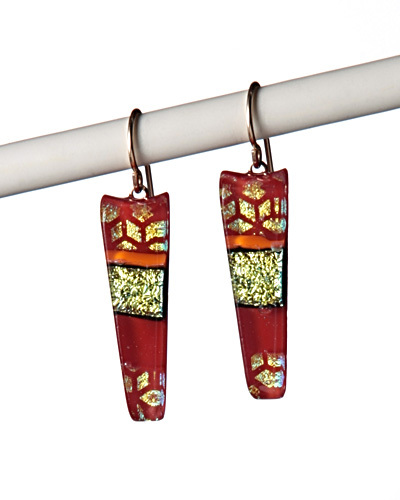 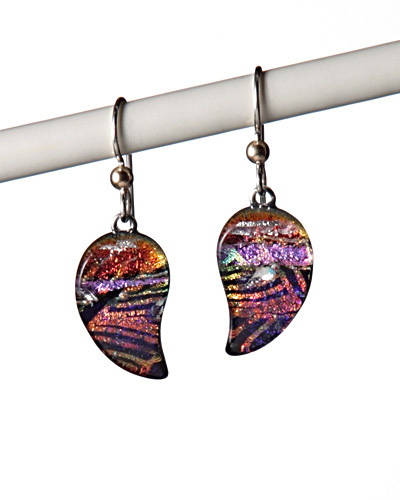 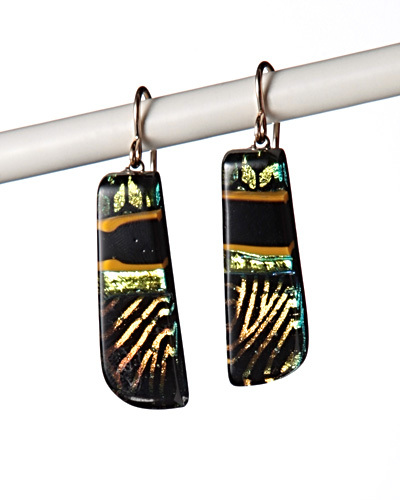 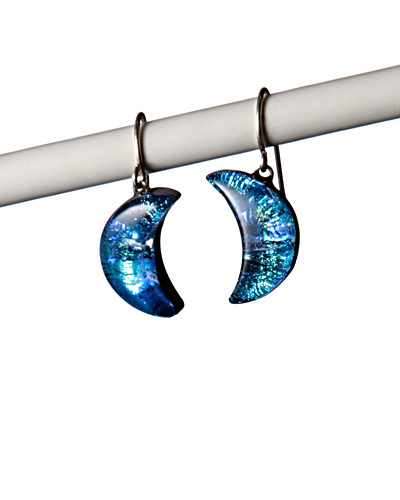 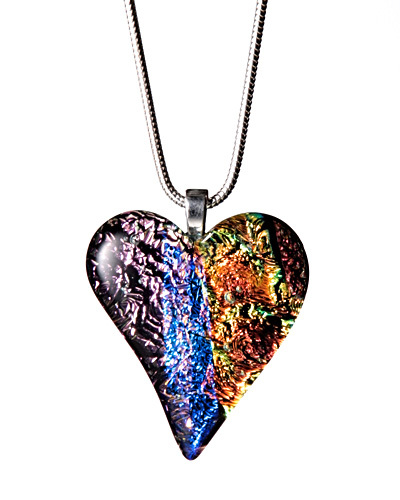 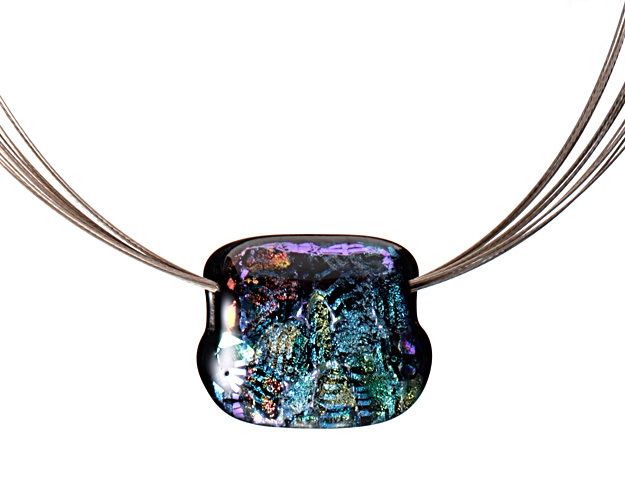 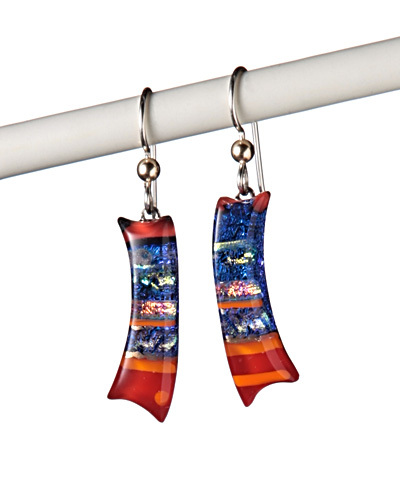 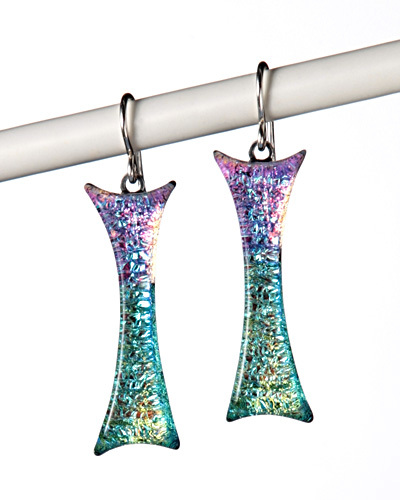 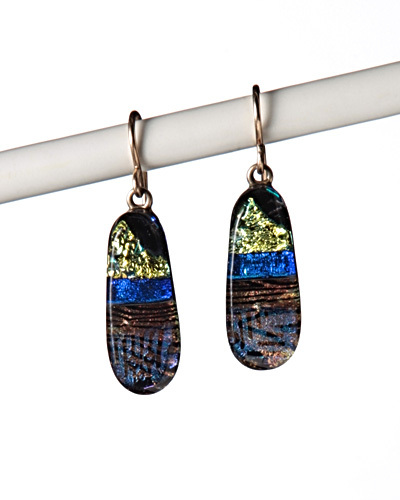 With a skillful combination of multi-faceted patterned and textured dichroic glass, our jewelry comes alive and changes color with different angles. 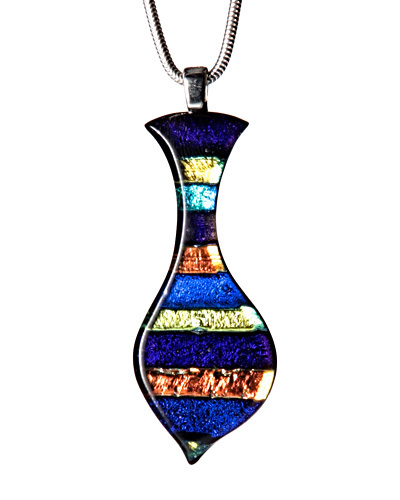 Layered, designed, and shaped with an eye for fluidity and beauty. 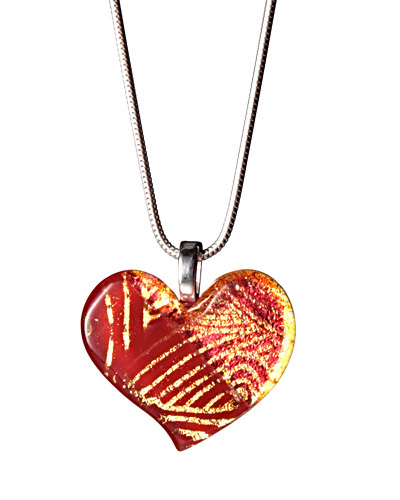 All our findings and chains are made of sterling silver or filled gold. 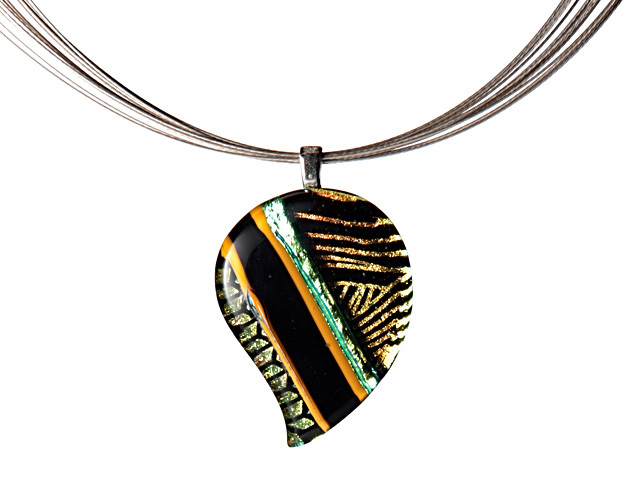 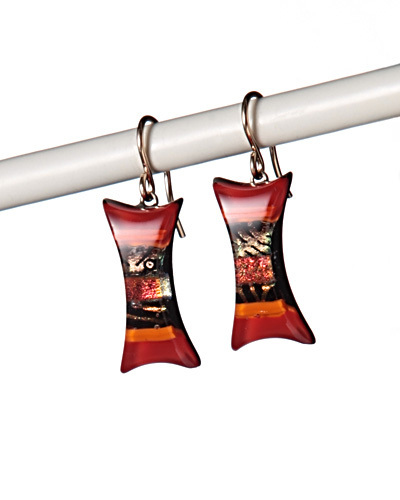 Prices for pendants range from $45-$100, earrings from $25-$40.